Whatever the weather in Austria, whatever the season, there’s always a landscape that makes you revel in the beauty of the world. And there’s always something that will shake you out of any pre-conceived ideas you have of a holiday in the mountains or beside a lake. Austria gets all sorts of weather – embracing a fully-fledged four seasons that Antonio Vivaldi would be proud of. 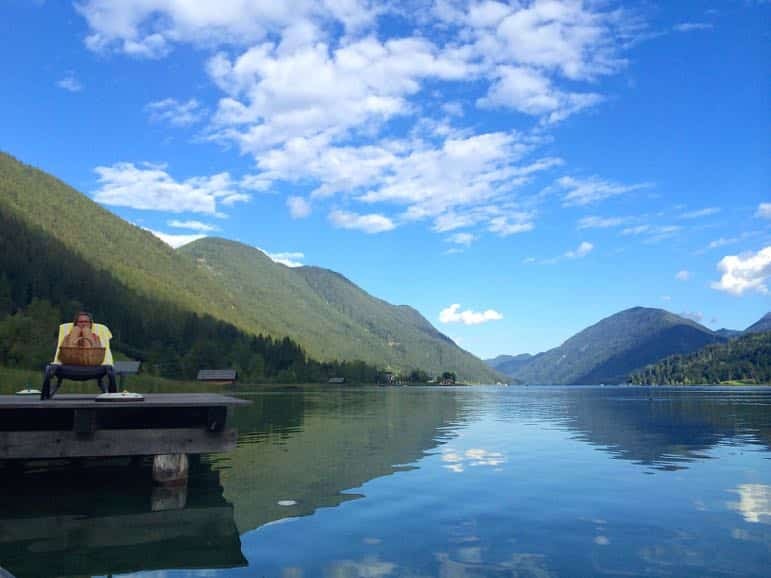 And from the winter joy of skiing to summer highs punctuated by festivals, hikes and lakeside beaches, Austrians make the most of each season. 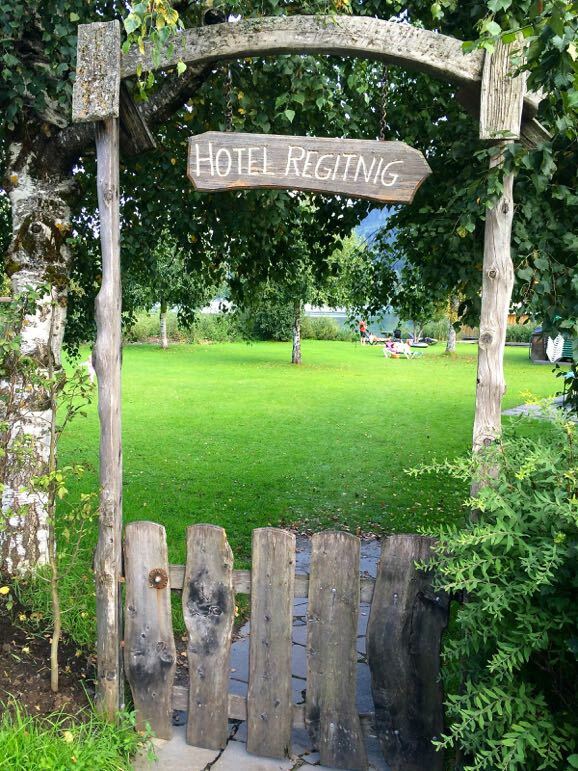 This was most evident when we arrived in Weissensee, in Carinthia, to some late summer sunshine. One of Austria’s southern regions, Carinthia is exposed to warm air pushing up from the Adriatic which delivers hot summer days. It’s location also meant we arrived into Austria via its border with Slovenia, having flown into Ljubljana. On our way to the town of Techendorf, cloud hovered over the tops of the mountains and it was only as we wound our way down the other side of a pass that we were able to see their pine-covered summits. In the valley, the mountains gave way to pastures, which gave way to a sliver of silver-blue. 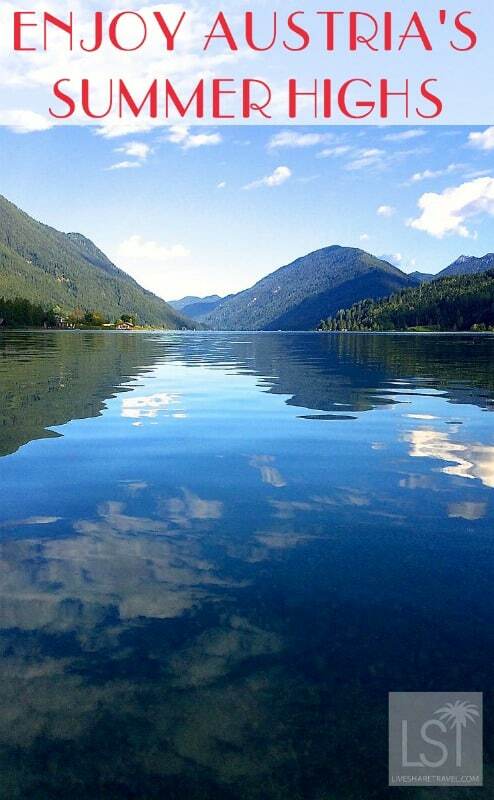 The lake, Weissensee, gleamed, its clear water inviting us to take a swim and ease the tension of the journey. But it was already evening so we made for our hotel and dinner. We were greeted at the Hotel Regitnig by the exceptionally helpful receptionist, Jasmine. 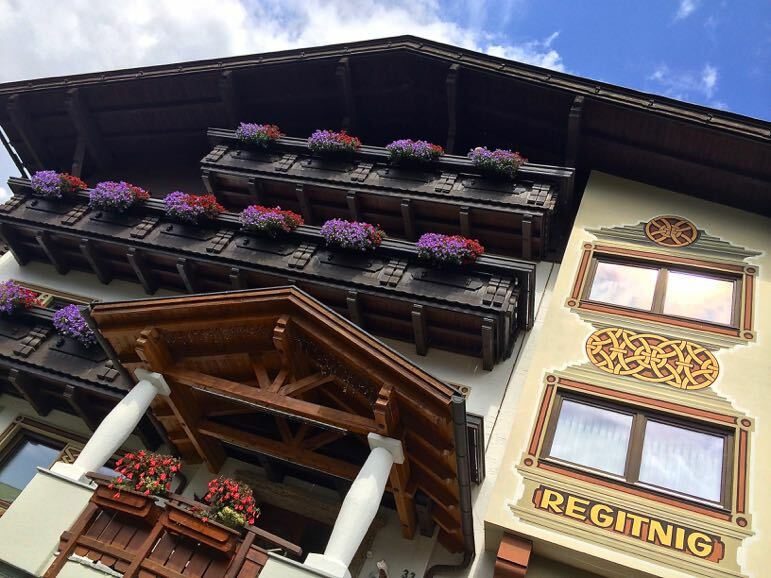 The four-star Regitnig is a nice, comfortable hotel, with a fitness centre, and small spa. But after a day travelling it was the restaurant and bar that appealed to us most. We enjoyed a very pleasant six-course meal while the setting sun burned chinks of yellow-orange light into the room, and we studied the view of the surrounding mountains. 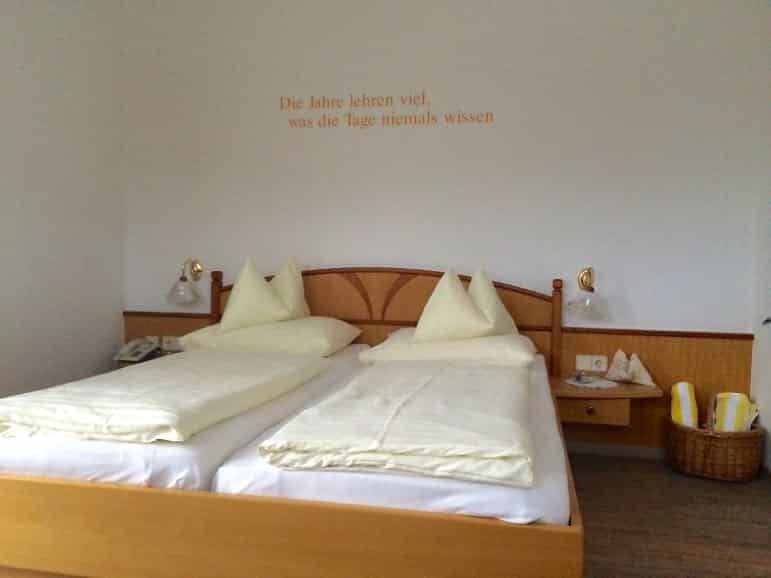 We were there as a couple, but the hotel is also well suited to families. And our room was spacious, well-equipped and very restful. 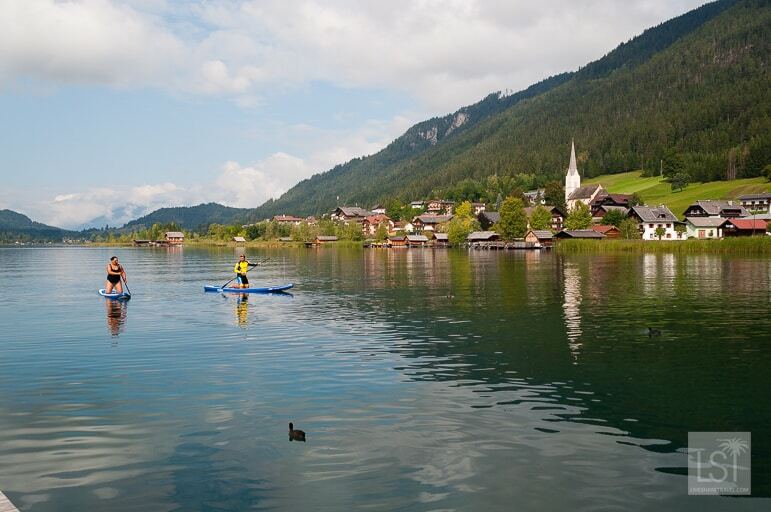 The main draw in the area is Weissensee – a huge, and very beautiful, lake. It is part of Austria’s Lake District, and at 11.6 km long, the fourth largest in Europe. We were there early in September and the weather was wonderfully warm, the lake great for a refreshing swim. In winter it freezes. But the Austrians don’t let that put a stop to their Carpe Diem spirit. They skate it, running international speed skating contests. There was even a scene from James Bond film, The Living Daylights, filmed on the frozen lake and four years ago, 30 small planes landed on the ice. As long as there’s a way to get outdoors and encompass the lake in your activities, the locals do so. 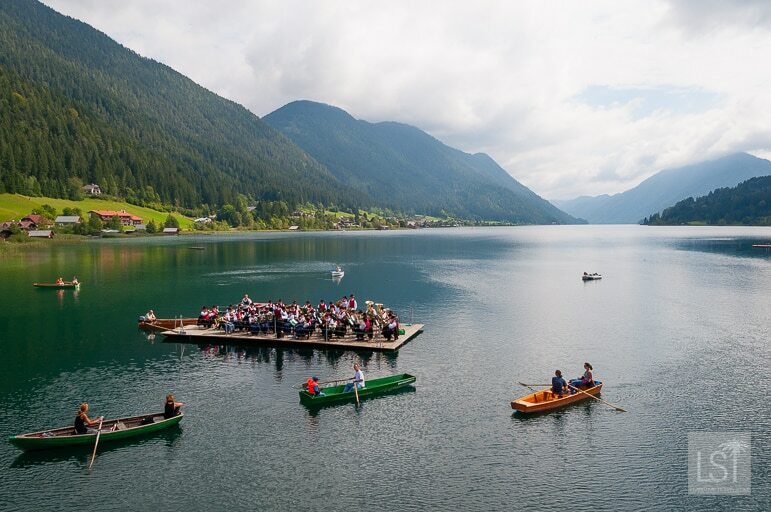 We even spotted a band visiting from nearby South Tyrol performing while floating on Weissensee, locals rowing up closer to get a ring-side seat for the performance. 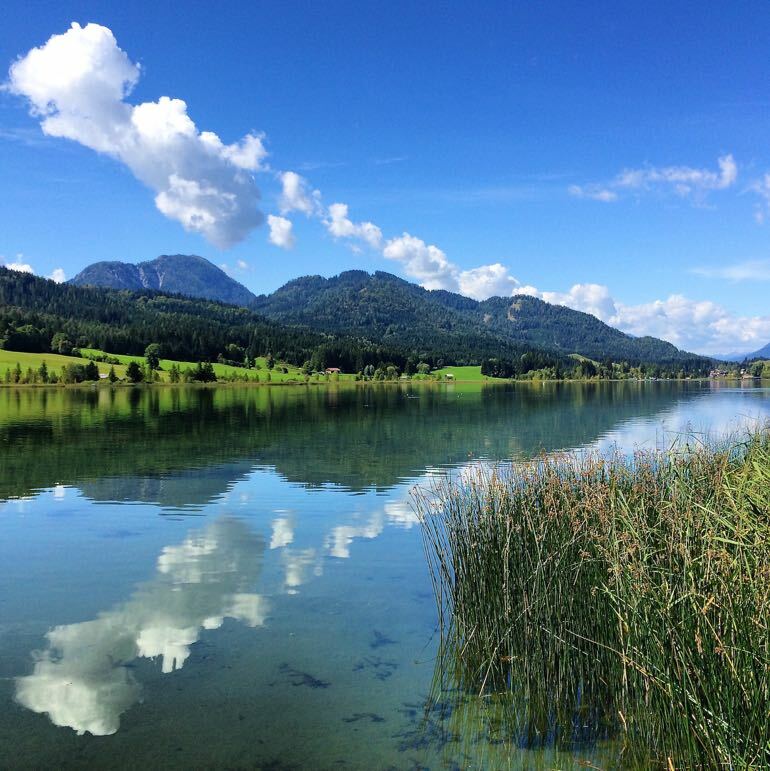 On our first morning we delved right into Weissensee’s love of the great outdoors. SUP or stand up paddle boarding was a new adventure for me. As someone with a very poor balance it wouldn’t have been my first choice for a day out on the lake. However, under the expert tutelage of local guide Wolfgang Wernitzing, it proved to be an enjoyable experience. I didn’t fall into the water, but must admit I never got any more adventurous than being on my knees. Yes, that day I created kneel down paddleboarding. My lack of ability seem to amuse a small gathering of tourists who stood on the bridge, and looked down on me literally and, I assumed, figuratively. Other activities at the lake included water-skiing, windsurfing, boating, parasailing, and fishing. 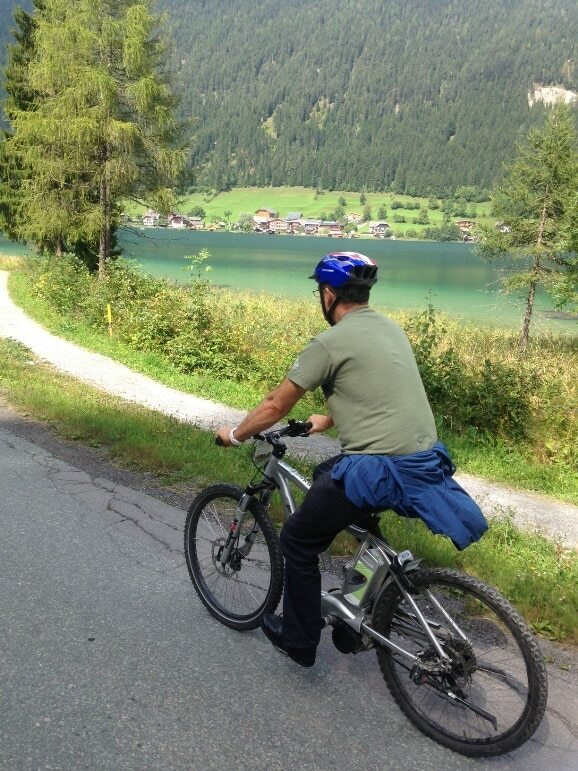 But I was ready to see the sights, so that afternoon I took an e-bike tour around the lake and higher up into the green-covered hills – the e-bike taking the strain out of the hill climb. I don’t know if it was the fresh country air on my face, or the quiet roads winding their way through peaceful, colourful landscape but it was an invigorating trip and a pleasure to cycle. With no major roads and the cut-off-from-the-outside-world protection afforded by the Gailtal Alps it made for a serene cycle. It’s an ideal location for those in search of a safe and peaceful break, as well as for families with young children. 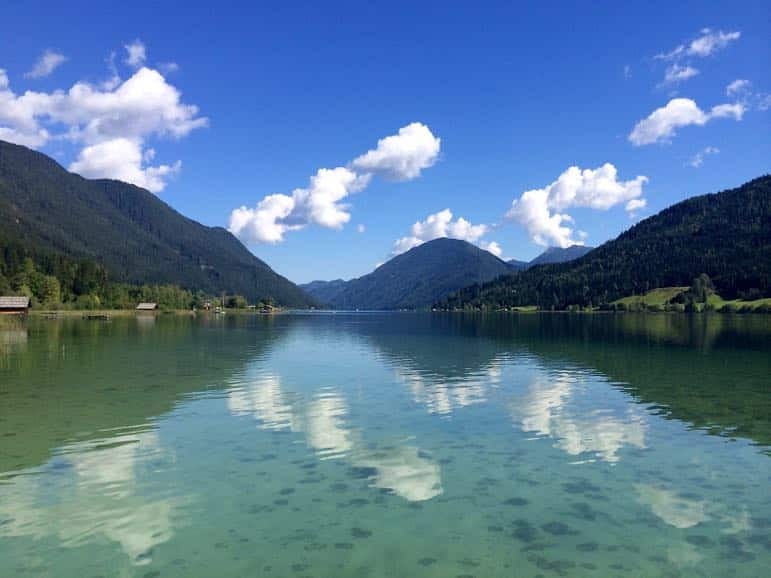 Weissensee has refreshingly clear and clean water and as two thirds of the lakeside is covered by conservation laws, it remains unspoilt. Like other hotels in the area, the Regitnig had its own private beach on the lake. And we made use of it one day taking a very fresh dip (ok so that’s a slight euphemism for chilly) in the clear, clean water. 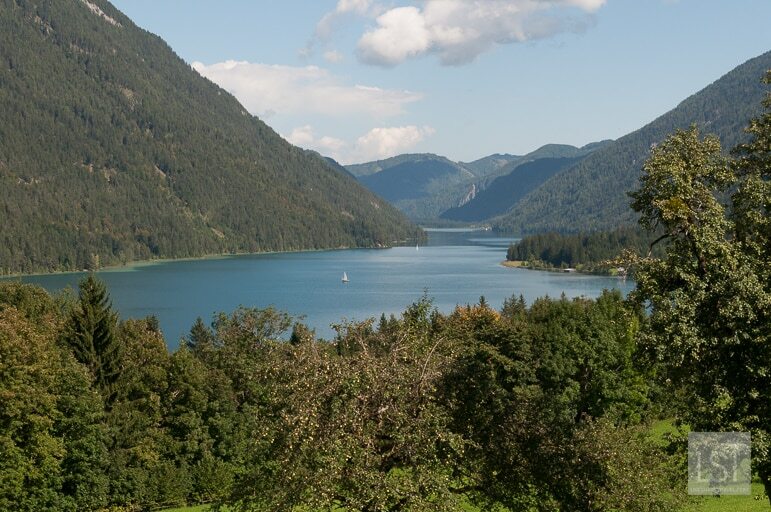 But as important as the lake is, there is more to Weissensee than this magnificent strip of water. 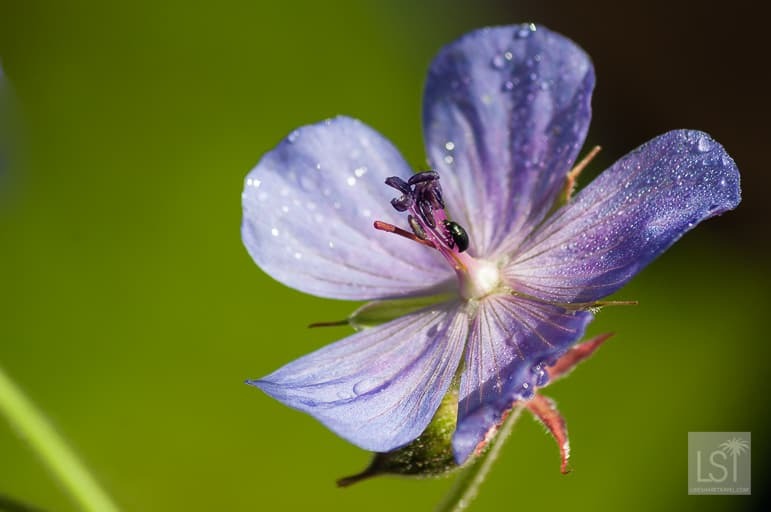 Hikers have an abundance of trails through vivid forests and meadows and the surrounding hills were alive with a profusion of wild flowers. For the more adventurous there are also Segway rides around the area. 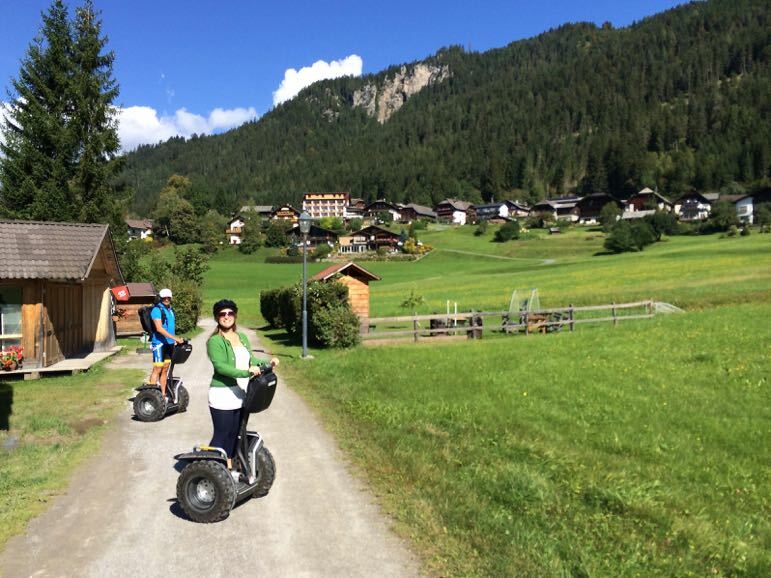 Sarah enjoyed an hour-long Segway experience with Wolfgang and our friend Elena and raved about the experience. I on the other hand had a less joyous time. Within 30 seconds of starting my ride I fell off and injured my arm. I hasten to add it was all down to me, but it will be some months before I can even look at another Segway. My thanks go to the nice doctors and nurses at an Austrian hospital who sorted me out. 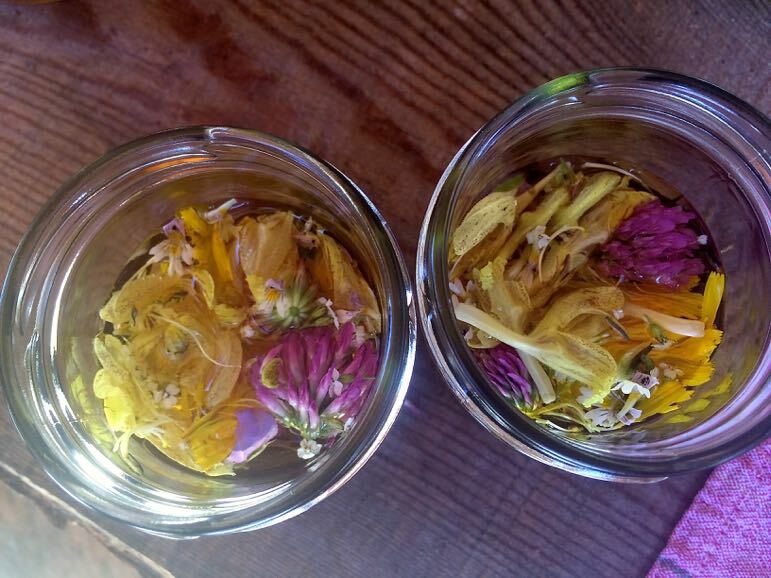 One day trip I really would recommend however, is a herb tour with Gertrude Wastian. 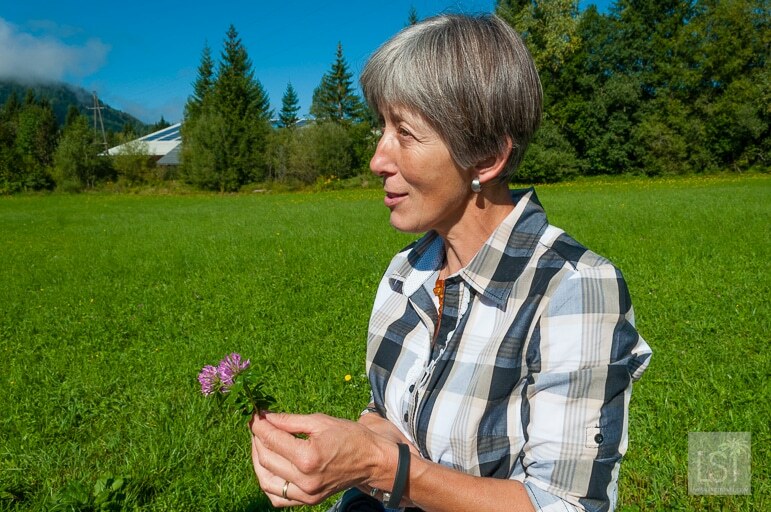 As well as being a local farmer she is a expert herbalist. 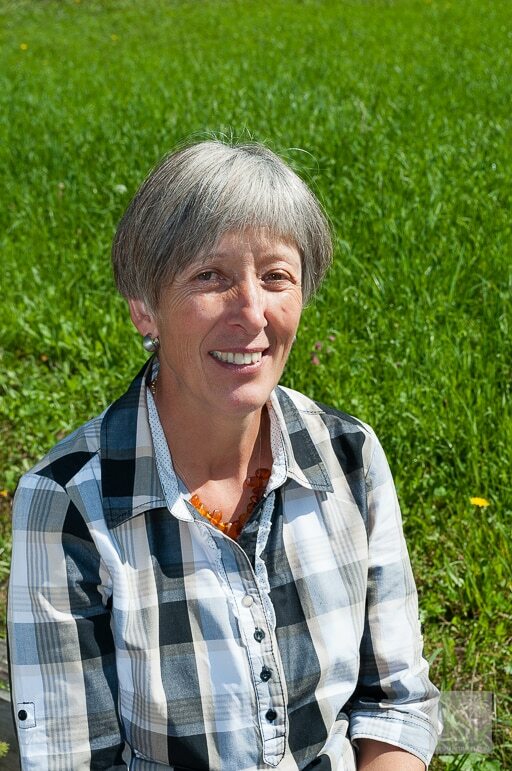 We met her on the outskirts of the town and were taken on an interesting two hour walk through Weissensee’s meadows. 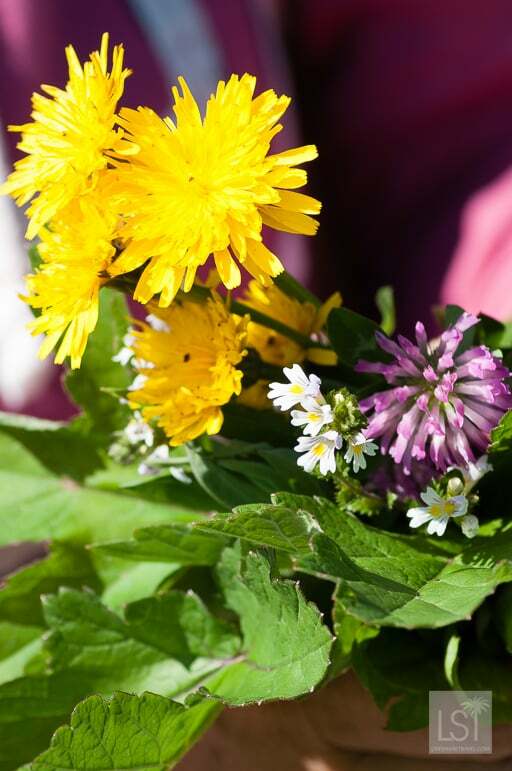 Gertrude introduced us to all manner of flowers, herbs and weeds, revealing how each can benefit our health. Her knowledge was extensive and shared with a simple sincerity that only a true believer can convey. At the end of the tour, she got us making a herbal salt and vinegar which we took home with us and have used in our cooking, infusing our dishes with the goodness of Austria. 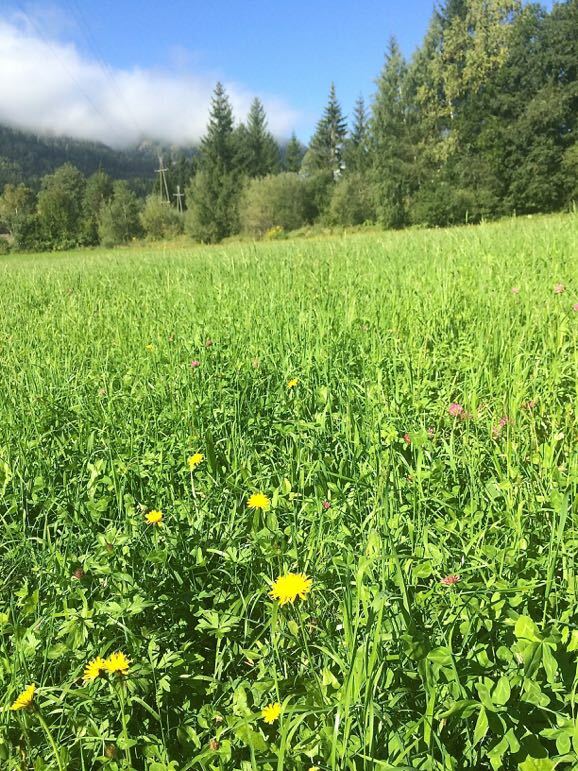 Be it the white snows of winter or the golden glow of summer, the weather in Austria delivers something for everyone and Carinthia was as interesting as it is relaxing. We look forward to returning and exploring further in this delightful part of Austria.